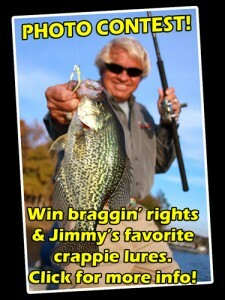 Catching a three-pound crappie and not weighing it is like shooting a 190 whitetail buck and not letting anyone score it. A fisherman may truly believe he has a three-pound fish but most of the time he is wrong. So, there are two theories for weighing a fish. First, never never ever put a fish on a scale unless you want to know its true weight. You can continue to guess the 1.50 pound fish to be 2.00, 2.25 or 2.50. Just don’t expect fishermen to believe you unless it’s weighed. Option two, weigh it so you have definite proof that your 2.0-pound fish really weighs 2.0. Put it on the scales if you want to claim it and brag a little. Part of the weighing process is having an accurate, dependable scale. The three scales described here were provided for photos and testing. 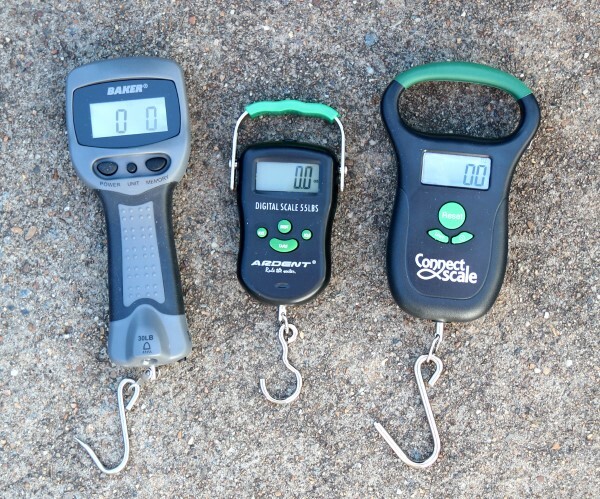 The three scales tested are comfortable to hold and they have a built-in thermometer for air temperature. Button functions vary slightly but they are straight-forward and easy to understand including On, Reset, Hold and Mode. Automatic shut-offs range from around one to four minutes so if a fisherman forgets to turn it off it will shut down automatically to conserve the batteries. None of these had cases but I recommend some type generic hard or soft case for overall protection and to avoid accidentally having buttons pushed during storage. The Baker has an easy-to-grip style that works great for fish in the crappie’s weight class. Internal memory stores up to ten weights so you can show your friends, or for tournament fishermen, match it to a cull system. The ES30 weighs up to 30 pounds so other species can be weighed. It has what the others don’t, a light at the base to illuminate fish or culling floats during night or low light. Don’t like: Readings carried out to one digit less than other two models. Also reads in KG and Ounces, but not pounds. Like: The off button is recessed making it less likely to turn on in your tacklebox. It has additional light, four minute turn-off delay and good price point. Nice choice for the price. 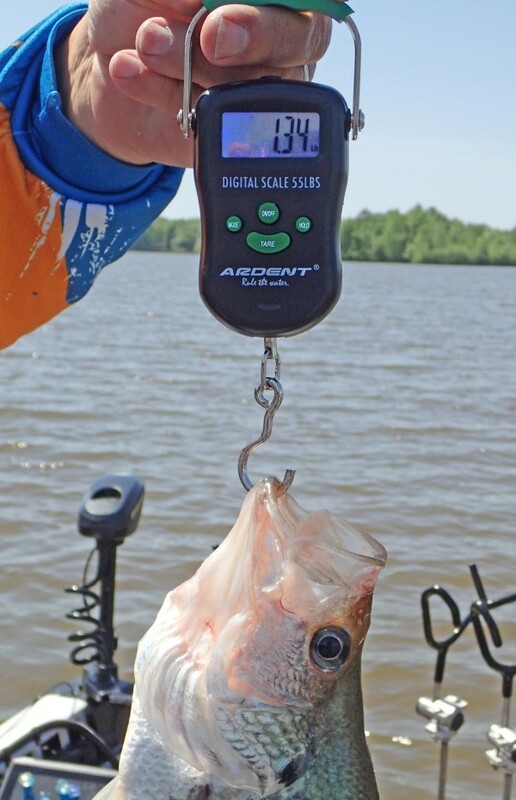 The Ardent scale measures up to 55 pounds, more than needed for crappie but good as a versatile scale for other species, too. It has a good look and is easy to use. This unit has a Tare option for using a weigh bag, gripper or other method (is zero’ed with the bag or gripper before weighing the fish). It has a quick auto turn-off so you can’t mess around too long to weigh the fish after turning it on. However, this function saves battery life. The unit operates on one CR2032 battery. Don’t like: The hook for the fish is small, but that’s not much to complain about. Like: Biggest advantage is compact size and easy storage. 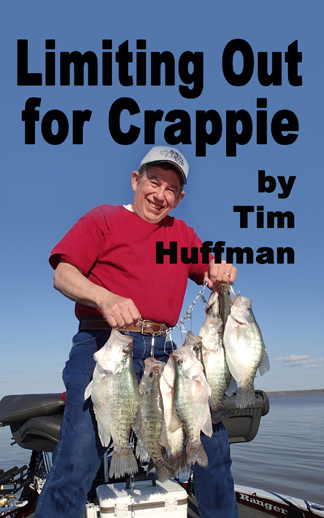 Perfect for crappie. Reads in kg, lbs, oz, and accuracy to 1/100. Great pick for economical, easy to store scale. The unit is advanced but it’s easy to use for standard weighing of fish, too. The unit is FCC, IC & Bluetooth SIG Certified. Requires two AAA batteries. Don’t like: The readout requires it to be held higher than eye level; not a big deal but could be easier. Like: The accuracy and available connectivity; and tagging systems. Comfortable overall size. This one is a top pick for a quality weighing system with Bluetooth. 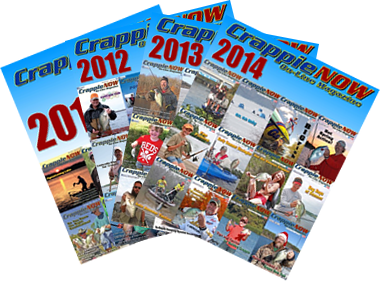 Looking for Back issues of Crappie NOW? 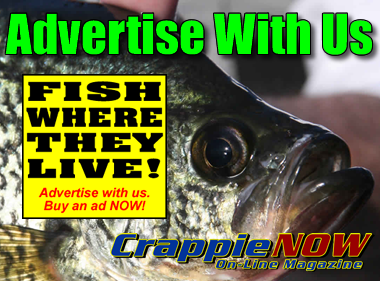 Subscribe to Crappie Now. It's Free!